Watch video demonstrations of our siding! 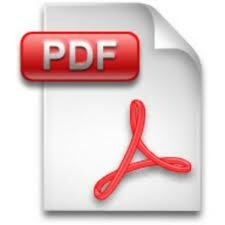 View amazing siding product sheet! Did you notice there are 5 Pressure Treated 4x4 Skids which run the full length of the building? This gives you maximum support in the foundation! Without sufficient strength in the foundation, the roof will eventually sag. Our exclusive 5 skid design keeps your walls straight and the roof line level for the entire life of the building! All 8' wide models have 3 skids. Another part of our commitment in bringing you the strongest floor system shows up in the way we fasten the floor joists to the skids. Notice the length of this amazing 8" screw! Using powerful electric drills, we drive this screw all the way down thru the floor joist and into the skid! By using our unique combination of treated ring shank nails and long 8" screws, we bring you the toughest, strongest, and most durable floor system in the industry! Knowing the needs and demands of our customers, we have committed ourselves to ensuring our building will withstand the test of time! Just knowing that your floor is solid will give you the peace of mind you desire. Our buildings come standard with Pressure Treated 2x6 floor joists spaced every 16" on center. All Garage models come standard with Pressure Treated 2x6 floor joists spaced 12" on center. With these floor joists spanning across our superior 5 skid pattern, this gives you the strongest floor available on the market! 8' wide sheds have Pressure Treated 2x4 spaced 16" on center. Once the foundation is securely fastened in place, we deck the floor with the world famous flooring; Advantech! This flooring has become famous for its waterproof durability and is being used nationwide as the #1 flooring product in the housing market! The impressive durability and longevity of this flooring is what makes Advantech stand tall above its plywood predecessor. While plywood is prone to delaminate and come apart over time, Advantech still remains strong because of its structural orientation and the water resistant glue found through out the entire panel. With the floor completed, we begin the wall construction. We space the 2x4 studs on 16" centers to give you the strongest wall possible. By spacing the studs 16" on center instead of 24" apart, our walls are 50% stronger than those walls with 24" spacing. By keeping our walls strong, this also ensures that our roof line will stay straight! Not only are the wall studs spaced so close together but the roof trusses are also on 16" centers to transfer the weight directly to the floor. Also, we purchase a higher grade material than most, simply to give you a better look! 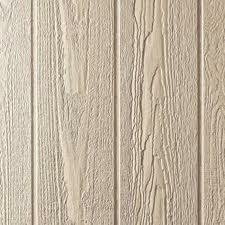 One very important element of the construction is the choice of siding a company installs on the walls. Metal siding is a cheap "get by", often with no warranty. Plywood siding is a little better but over time the layers of wood can delaminate. The LP Smart Side is at the top of the list with a 50 Year Warranty against delamination, termites, and fungal decay. Smart Side is fully treated and we guarantee that as long as the original purchaser owns this building, termites will never destroy it. This siding is made from Aspen wood which is somewhat naturally termite resistant. Also when this siding is made, zinc borate is applied throughout the substrate; so coupled with its natural resistance and the zinc borate, this siding will stand the test of time! Notice the double top plate. On the side walls, the top is a 2x6 and the bottom is a 2x4. This keeps your walls straight. Without question, color always brings a new dimension to life. How do you keep that color from fading out? 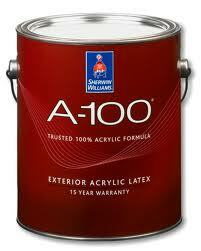 By using Sherwin Williams A-100 Acrylic Paint! We spray on two coats of this paint to give your building a better cover. In addition, we also get an anti-mildew compound blended with our paint from the begining to give you the peace of mind you deserve, knowing you will never need to worry about mold and mildew growing on your walls! Are there cheaper paints on the market? Sure there are. But why sacrifice quality for price? Doesn't the sting of poor quality last much longer than a memory of higher cost? Now you may rest assured that your building is protected with Sherwin Williams paint and will stay looking new longer. Who likes when the roof comes down? Nobody does! To make absolutely sure that you are protected from mayhem, we install a set of double 2.5" x 4" steel plates to connect the truss joints. These two plates are pressed together with 5 tons of tremendous force. We use larger plates than most manufacturers, to give you the strongest roof system. Also notice the expansion joint in the roof decking. With the changing seasons and temperatures, wood will swell and contract. We leave a small space for the wood to do this so it will not buckle your roof. This is all part of our desire to keep your building in shape for decades. The roof does more than just look good! It serves as the barrier between the harsh elements and your valuables! With something so critical, this is certainly the place you want to be able to trust in. This is the reason we have brought you the energy efficient 40 year Metal Roof. Below the metal we install a solid wood decking to ensure your building will not condensate or sweat! This also provides a stronger roof system! For those customers who prefer the 30 year Heritage Architectural Shingles, we will help you as well. When it comes to security, we have it locked in! Our door knobs turn easy, close tightly, and lock securely. Each door comes with 2 keys and each knob is keyed separately for your protection! Keeping moisture, bugs, and rodents out of your building is one of our top priorities! Few things do this better than the double rubber seal which is installed all the way around the door frame. This keeps your valuables safe. Our unique security chain and spring system protects your door while opening and closing on windy days. This chain and spring keeps your door in top shape for years to come. And finally, everything you have come to expect in your storage building is included when you see this official Bald Eagle Barns name plate! Every building we produce comes with this factory identity sign. With this sign on your building, you can rest in the fact that your building is safe, secure, and structurally sound. Your new Bald Eagle building will add structure, simplicity, and stability to your life in so many ways! Visit us today to get this package delivered to your back yard! We are here for you! Expect the best, don't settle for less! Did you know that your storage building needs to breathe? That's right. It is crucial that your storage building does breathe air. This is why we instal an 8" x 16" vent in each gable end of your building. Because of these two vents, air can come in one end and exit out the other end. This does several things for your building. First it helps keep your building cooler. Next it helps keep fresh air inside your building. And last but not least, it will prevent mold and mildew from growing inside your building! Keeping your building breathing is imperitave to a long life! All our flooring is Tongue and Groove for a stronger, quieter floor!